As budget negotiations center around which taxes to increase, NJBIA spoke out today against raising any taxes in a state where taxpayers and businesses are already overburdened. Gov. Phil Murphy has promoted an income tax increase on income over $1 million while the Legislature is proposing to increase the corporation business tax (CBT). Specifically, Senate President Stephen Sweeney and Assembly Speaker Craig Coughlin proposed a two year tax increase of 2.5 percent on companies making between $1 million and $25 million and 4 percent for companies making more than $25 million. 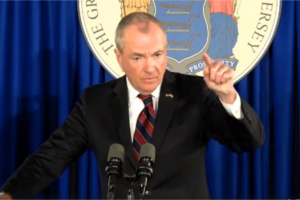 Earlier in the day, Murphy said he would veto the Legislature’s budget if it relies on “one-shot and ‘two-shot’ sources of revenue” as legislators prepared to introduce their versions of the FY 2019 spending plan today. Raise taxes on the hard working citizens of the state or start cutting back on the ridiculous union benefits bankrupting the state. We all know that no Democratic politician is going to undermine their union benefactors so dig deeper into your wallet folks! I guarantee you We start leaving the state in droves. I am totally done here. Thank God I was born when I was born. They will never make it here. I’m with you. Planning on getting out of here in 6 to 9 months. It was bad before now its just nuts. After 35 years in NJ I won’t take it anymore. If the idiots in Trenton want to destroy themselves fine, I’m not going down with them. Govamanure Murphy – you say you are a Democrat, but we all know that you are really a Socialist who is trying to maintain the status quo by proposing to tax the hell out of anyone, or any company, that does very well for themselves and makes a healthy profit. Your proposed tax increase would result in one of the highest State tax rates in the USA. Your solution to tax everyone who has done well for themselves due to taking the entrepreneurial risk and working 80 hours a week has only resulted in New Jersey’s newest department and agency “The New Jersey Department of Profit Prevention”. You can only kick the can down the road, so long, until there is no can left to kick. It doesn’t take a rocket scientist to figure out the basis of the financial crisis. Requiring all projects to be paid in accordance with the ridiculosity high prevailing wage rates and union rates, add in numerous years of failing to effectively deal the NJEA and then add in the State’s ultra bloated employee system with a gigantic pension and benefits liability and the result is a financial juggernaut that has taken on a life of it’s own and can not and will not ever be properly managed downward. Not one Democrat has the intestinal fortitude to even face this monumental financial crisis and try solve it. Over the years, New Jersey taxes will continue to rise, people will continue to flee to State due to the ever increasing tax rates, less people will be paying the ever increasing State and Municipal taxes, all State and Municipals cost will continue to spiral out of control until ……. Well enough that, I need to finish my packing for my move to Florida ….. Good luck New Jersey! It’s been real! As a small business owner in NJ I feel like we are in tax hell, these Dems cannot not stop themselves from grabbing more money to pay for a over inflated government bureaucracy. I would strongly recommend that anyone thinking of opening a business in this state re-think your options, this is not the place to try and run a successful business. Sad but so true. Governor Murphy has taken the right and courageous stand. I am a born, raised, educated, and retired, business entrepreneur, in New Jersey. I have had the opportunity to travel to many of our states and other countries. Our state has systemic problems in governance. We have not transitionally grown to the 21st century. In order carry forward the great culture and community that has always been N.J..
restructure our inefficient local forms of government, services, education and taxation, upgrade our transportation, make our social services more efficient designed to grow out of dependency, reduce and improve our state bureaucracy, and invest in solving the many other needs of our dynamic population. Full speed ahead and a following sea, Governor Murphy!